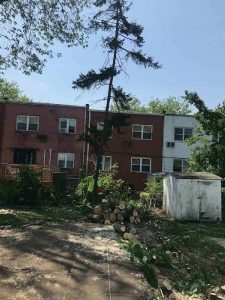 Tree Removal is our specialty. We provide professional expert services including 24-hour emergency service, tree trimming, stump removal and fully seasoned firewood. We are fully insured and use the latest equipment in the industry. Because we have a fully trained team and 27 experience tree arborist we can take on tree projects of any size. Unlike other tree services we have received raving compliments from our customers. Our reputation in this industry speaks for itself. Our professional climbers are able to remove a tree without any damage to personal property. After every job is completed we make sure the is completely satisfied and happy with the outcome of the tree. 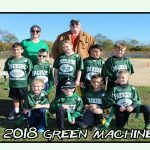 Whether we have to trim/prune a tree or shrub, remove a tree, grind a stump or check the health of a tree, we are happy to send one of our professionals. If there is an immediate tree removal need our team is available around the clock. There is someone to answer the phone at Tarzan Tree Removal 24 hours, seven days a week. Tree removal can be costly depending on size, proximity of home and health of the tree. Since every tree is unique there is no way of giving a set price. Removing a tree is a very big job, requiring a lot of man power. It can take an entire day to remove a tree efficiently and carefully. Think about how long it takes for a tree to grow and the strength that it has. Some trees are over a hundred years old, still strong and powerful. Now imagine how much energy you need to remove it. A tree climber starts at the top of the tree making small and precise cuts with a chainsaw. The team underneath follows the tree climber and catch the branches falling. Some branches free fall while others are pulled by a rope. The process of tree removal starts from the top down. Take a few moments to watch the video on our homepage or do a Google search just to watch. People passing by us during a tree removal usually stop to take photos and videos themselves. It is truly amazing to watch. Again, if you read our reviews in the industry you will see that we are fair. 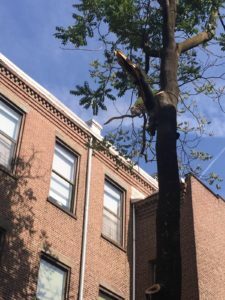 Our prices reflect that as we understand the severity of the situation, especially if it is emergency tree service. Because of our affordability and passion customers tend to always choose us during their tree service search. 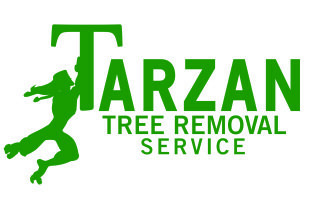 Remember, for the top choice in tree removal, call Tarzan Tree Removal.